Ovcharov has commented the controversial topic of the so called historical restorations in which dozens of ancient and medieval fortresses around Bulgaria have already been partly or fully restored as a means of developing cultural tourism destinations. The historical restorations in question have been conducted primarily with funding from the EU and the EEA/Norway grants as well as some local fundraising efforts. 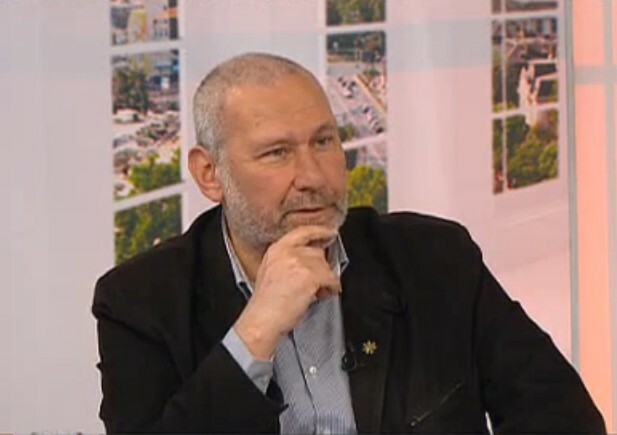 Speaking on the Bulgarian National Television, Ovcharov has reiterated well-known facts about the destruction of medieval Bulgarian cities and fortresses by the Ottoman Turks after the end of the 14th century when the Ottomans invaded and conquered the feudally fragmented Second Bulgarian Empire (1185-1396 AD). “Unfortunately, our monuments had a terrible fate because of the 500 years of slavery," Ovcharov says, using the word “slavery" which is how Bulgarians view the period of Ottoman yoke (1396-1878/1912); it is not taken to mean “classic" slavery as in Ancient Rome or the American South (even though this type of slavery was also widespread in the Ottoman Empire) but, rather, the loss of the national state, the lack of basic human rights, subservient status, not to mention the rampant massacres and other incessant crimes the Bulgarian nation experienced under Ottoman rule. “In the 15th century, Ottoman chronicler Mehmed Nesri wrote that Bulgaria had had the most beautiful fortresses in the entire Balkans. However, all of that was destroyed. Only the Baba Vida Fortress in Vidin has been preserved in its original appearance," points out Prof. Ovcharov, who, in addition to being a famous archaeologist, is presently an adviser to the Bulgarian Minister of Culture. “Work is being done on many projects. The major issue is to turn out wonderful archaeological monuments which rank third [in number and importance] in Europe, after those of Italy and Greece, into cultural and historical monuments attracting tourists," he adds. “What we need to do now is to try to restore [them] in some way. Some people say we should rebuild them completely. However, that is not always possible or necessary. The “puritans" aren’t right, too – we can’t leave the fortresses decay as ruins. We must find a middle ground," the archaeologist argues. He has mentioned the best known negative example of Bulgaria’s recent archaeological restorations – the Krakra Fortress near the western city of Pernik – where the builders used plastic and other artificial materials to rebuild it – causing a public outrage. Ovcharov argues, however, that the examples of botched archaeological restorations are not that many, and that out of a total of over 30 historical monuments restored with EU funding from the 2007-2013 programming period, many are success stories, including the Peristera Fortress near the southern town of Peshtera, the megalithic city of Perperikon in the Rhodope Mountains, or the Ancient Roman villa Almira near the southern town of Ivaylovgrad. He believes the botched cases are useful because they have alarmed the public and the institutions to do a better job at regulating the respective projects, more of which are expected in the coming years as EU funding from the 2014-2020 programming period starts to kick in. In his words, the Tsari Mali Grad Fortress near the town of Belchin, Samokov Municipality, south of Sofia, is a positive example even though its restoration has not gone without criticism, some of it warranted. Yet, last year Tsari Mali Grad was attended by more than 400,000 tourists which is seen as a huge accomplishment for a cultural tourism destination that was created in 2013. Ovcharov has admitted that the public should be on the lookout regarding archaeological restoration projects whose sole purpose is to “absorb" funding from the EU. “Of course, there are many interests involved, I am not going to deny that. We are talking about hundreds of millions of euro, and when there is so much money, there always are unsound interests," he says while defending the initiatives to restore Bulgaria’s archaeological monuments. “We are going to have proper cultural tourism in Bulgaria. In fact, we already do," Prof. Ovcharov has concluded.